Jehad moved to this country from war-torn Aleppo Syria in September 2016 as a refugee and has been given UK Residence Permits for his family. He has a very young family, two small boys and his wife Gina and they are passionate about making a new life in the United Kingdom. 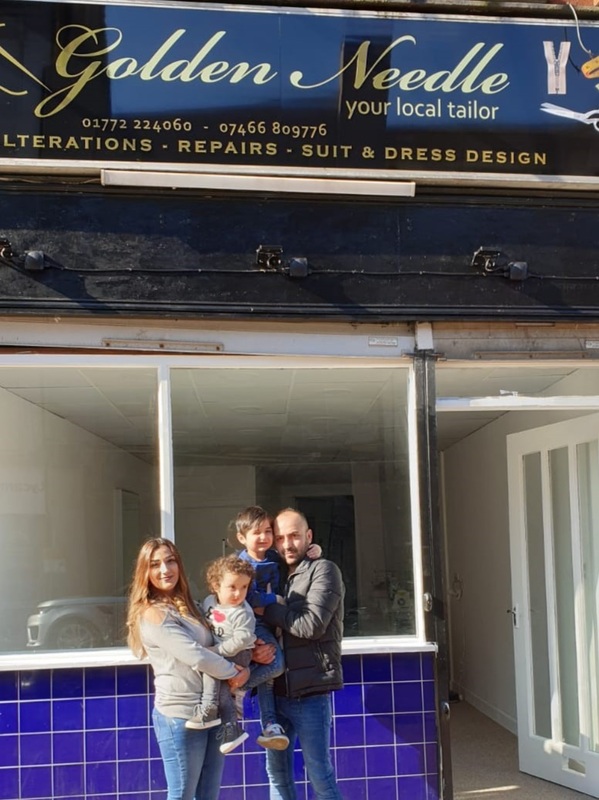 Jehad is a professional Tailor and has 22 years’ experience in tailoring and is able to provide a wide range of services from taking up, shortening and hemming garments to designing bespoke wedding dresses and men’s suits. He has been volunteering in a very busy tailors shop in Preston, since November 2017 and with the experience he has gained, he has generated a very large potential customer base and from this his English has vastly improved. Magdalena Massey of Lancashire County Council Syrian Resettlement Program has been working closely supporting Jehad and his family with settling in the UK and they made contact with Peopleplus to help him with his business idea and to get the ball rolling. Jehad has worked closely with Magdalena & Darren, his Peopleplus Business Trainer and has completed a cash flow forecast and business plan to help him gain a business start-up loan from Restart, a charity that solely works with refugees in the UK, providing 0% interest start-up loans with flexible affordable monthly payments and no fixed term for the loan. Jehad’s business plan passed stage 1 and after stage 2 & 3 SKYPE interview with the chairman of Re-Start, Jehad has successfully been approved for a £9000.00 business startup loan. Currently Jehad has incorporated his business as Golden Needle Limited and on the 28th February signed with help from Peopleplus a tenancy agreement for a Town Centre shop and he has been negotiated 4 months free rent to help him get off to a good start. Jehad has used the start-up loan to purchase equipment and has had signage installed above the shop front. Jehad still needs lots of support with the initial running of his business and Peopleplus have offered and will provide support as and when Jehad needs it. The shop open day is scheduled for the 13th April 2019 and the local press and radio stations have been invited and Magdalena from Lancashire County Council Syrian Resettlement Program in aiming for the Chamber of Commerce to attend. PeoplePlus will be creating a marketing video as a good news story to help promote Jehad as a new budding entrepreneur.